Henry Gardner was a prominent early resident of the Town of Stow, which included Maynard at that time. 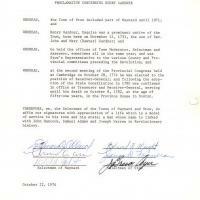 The Boards of Selectmen of Maynard and Stow sign the proclamation in 1974. 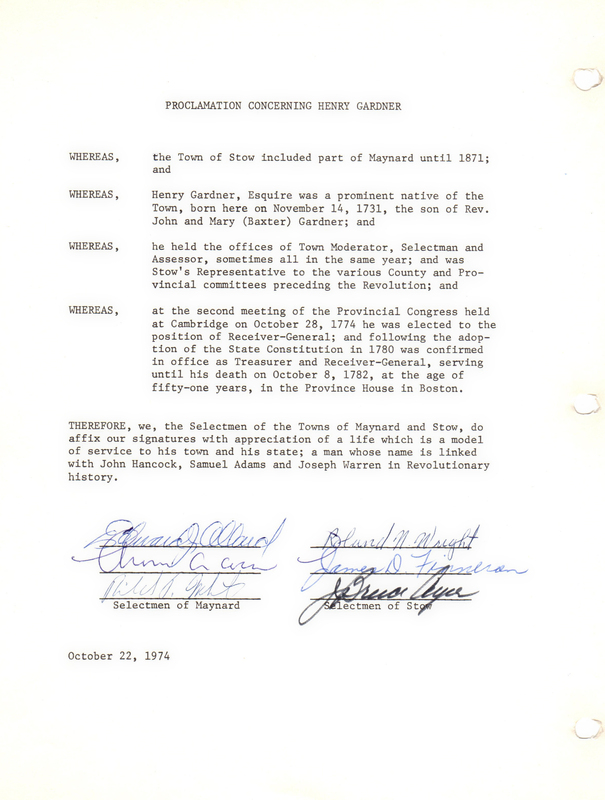 “Proclamation Concerning Henry Gardner of Stow,” Maynard Historical Society Archives, accessed April 23, 2019, http://collection.maynardhistory.org/items/show/5970.